The First Persons Sample Packet contains two copies of the popular First Persons Student Book and one First Persons Leader's Guide for examination by teachers, Directors of Christian Education, pastors -- anyone interested in an economical preview of this exciting new study program. 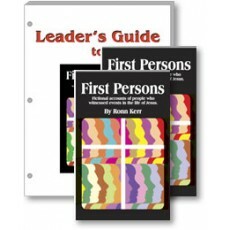 The extensive 100-page Leader's Guide is loose-leaf and 3-hole punched so that it can be easily distributed to various session leaders without having to make sure the Leader's Guide gets to the right person every week. The Leader's Guide contains scholarly Biblical background material, leadership suggestions, and creative discussion starters tied to each story.